' [Birth Mother] First Mother Forum: Writing to Gov.Cuomo about unsealing records--just do it! Writing to Gov.Cuomo about unsealing records--just do it! When you were nine, I had a child in Rochester as an unmarried woman of 22. I felt I had no choice at the time but to give her up for adoption. 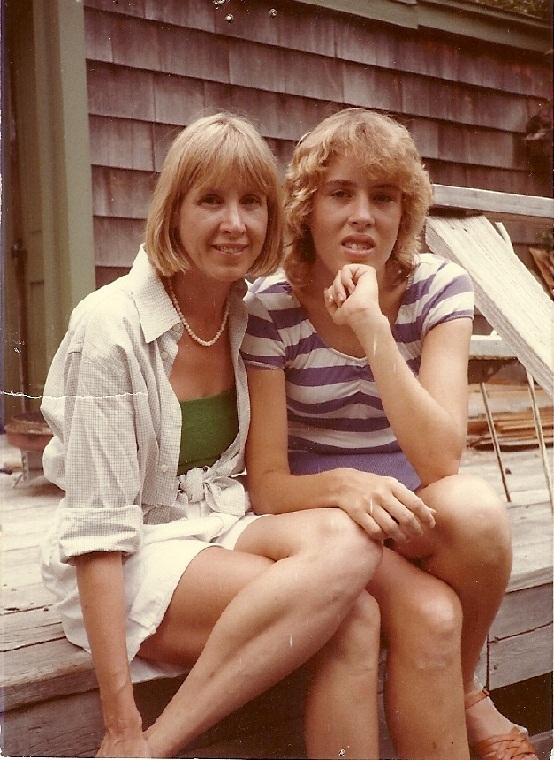 I was horrified to learn during the process that she would never be able to have her original birth certificate, and that if I wanted to do a legal adoption in New York, I had to agree to take away her right to know who she is, who she was at birth, what her story is—for her entire life. It wasn’t my birth certificate that I was sealing—it was hers and I was participating in this obviously unwarranted and unjust system of social engineering by making this unholy bargain with the state. The state and I were making a lifelong decision over a third party. I anguished over this but in the end had no real choice in that era and signed the relinquishment papers at North Haven Terrace—the euphemistic name for the adoption agency in 1966—and tried to put my life back together. That included leaving my job at The Democrat & Chronicle in Rochester and finding one at The (late) Knickerbocker News in Albany. At The Knick I covered the state legislature on issues of health, including abortion, which was making its difficult way up the food chain there in the late Sixties. I know what a tortuous battle that was. Yet the battle for ending discrimination against people who are adopted has taken much longer. In 1976 I was back in Albany testifying for unsealing the birth certificates of adopted individuals; Richard Gottfried was the young assemblyman from Manhattan who co-chaired a joint Senate-Assembly hearing on the issue. The words we heard from the opposition—from Shad Polier, in fact, representing an adoption agency, Louise Wise—were “tragic” and “disaster” should the state unseal original birth certificates. Nothing happened. While absolutely nothing continues to happen in New York State, since then nine states now allow adult adoptees the full and unfettered right to their own original birth certificates. The sky has not fallen; mothers are not driving their cars into the river. and shame, up to today. My story is only one of thousands, but beyond the personal tales of grief that sealed records causes both adoptees and mothers in New York, the law itself is unethical, immoral, unjust for it denies a whole group of people the right to self-governing by stealing their identities at birth and into eternity. Adopted people were never asked if they, when adult, wanted this erasure of their original families scrubbed from their records, yet they have it. The only other situation where anything like this happens is in slavery. And that is what New York perpetuates by not passing a bill that would do away with sealed birth records that came to be under adoptove father Gov. Herbert H. Lehmann. In reality, I think it’s more than possible that some legislators are worried about secret children themselves, but if not, certainly they are empathizing with the parents in the closet rather than the adopted individual stripped of his personhood with this archaic law. David Weprin (D) and Anthony Lanza (R) have companion bills that give adoptees the right to know who they are. The bills (A9959-B and S7631-B) do not allow birth/first mothers (fathers of unmarried women are usually not on birth certificates) to enforce a continued violation of the rights written into the old law. Insisting that these women be given the right to redact their names if so desired is not an equal right, for it gives birth mothers say over their adult children that no parent has in and other area. It allows a minute percentage of women—New Jersey’s recent experience shows that to be fewer than two percent, in other states it has been far lower—to hold authority and power over another group of people. Cyril Means, the (late) attorney on the suit brought by the Adoptees Liberty Movement Association (ALMA) to unseal birth records for the adopted, stated it this way: "Apart from slavery there is no other instance in our laws, or in any other jurisprudence in civilized system of jurisprudence, in which a contract made among adults, in respect of an infant, can bind that child once he reaches his majority." Earlier this week, (June 5) a clean bill without restrictions was voted out of the Health Committee in the Assembly and sent to Codes, that last stop before a bill goes to the floor for a vote. Joe Lentol heads Codes and has been against a clean bill for time immemorial. I do not expect anything to be different this year. Only you, Gov. Cuomo, might be able to get the bill on the floor. The bills have bi-partisan support, and thus just might be legislation that both houses would pass and break the logjam in the legislature. It would certainly look good in the news that the two houses could agree on something, and actually pass important legislation that has been kicking around Albany for decades. Since a Cornell University survey long ago showed that most adoptive parents were in favor on unsealing records, today you would not lose noticeable votes over this, and you would certainly gain the support of adopted people and many if not most mothers who relinquished their children to adoption from around the country. New York, with an estimated 640,000 adopted people in the state, would be the first large state to give adopted people the same rights as the non-adopted: to have their original birth certificates, no simply "amended" ones. I will add that Kansas and Alaska never sealed the original birth records of adopted people, and they do not have higher rates of abortion, as some have suggested will happen if women are not allowed to maintain their anonymity. A child has the right to know at least, at the very least, her or his mother. As noted before, nine states (Alaska, Alabama, Colorado, Hawaii, Kansas, Maine, New Hampshire, Oregon and Rhode Island) have similar legislation. You would get credit for making it happen in a state with a large population. It is impossible to overestimate what a difference this would make to adopted people. But what a difference it would make! PS: In one of those weird twists of fate, the father of my daughter was the Democrat & Chronicle’s political reporter who later went to Newsday, Patrick XXXXXXX, and he probably professionally knew your father. Jim XXXXXXX a good friend who lives in Sag Harbor, says that he’s known you since you were a kid. So it goes. I am the author of hole in my heart: memoir and report from the fault lines of adoption (2015), as well as Birthmark (1979), the first memoir from a natural mother, as well as other books and numerous magazine pieces. I also have a popular blog for adoptees and first mothers, First Mother Forum. Anne Heffron's book, You Don't Look Adopted is a powerful indictment of adoption, and demonstrates the far-reaching impact that adoption has on every aspect of the adopted individual's life, despite their relationship to the new family. One wishes the non-adopted would read only a part of it; their understanding would change forever. It makes a great companion to hole in my heart: memoir and report from the fault lines of adoption . Indiana opens access to adoption records and original birth certificates on JULY 1. A hard-fought-for battle that I applaud. Although this legislation will not help me as I was found on a doorstep and have no original birth certificate, I am thrilled for the thousand of adoptees who will finally have access to this vital information. Even though I solved my parental mystery with DNA, if I had an original birth certificate, I would file the necessary paperwork to obtain it. Such an important document to possess. I'm encouraging other adoptees to seek this important piece of their history, whether or not they choose to attempt to connect with their birth parents. With that encouragement, I also offer this bit of advice: Toss out all expectations and preconceived ideas about the “who, what, when, where, how and why” and prepare yourself to discover truths stranger than any fiction author could conjure up. And please oh please, realize you did not then and cannot now walk in the shoes of those who made those long ago decisions. So, try very hard not to judge. Happy open records day to my fellow Hoosiers! It's a huge step forward for Indiana, but it will be one of the states that allows mothers to redact their names. It was the only path open to Indiana adoptees; the bill that is going for an up or down vote tomorrow has no redecations, only a contact preference, in the true sense of the word. No redacting option is better. Go New York. . .
A powerful piece, as always. Well said. Just FYI, Ohio opened its records some years ago - 2015? 2016? In NY we are trying to avoid a restrictive bill. There are another 17 states I believe that have access with restrictions of some sort. The 9 states listed do not have any restrictions. A powerful letter Lorraine. You always amaze me with your rigour and superb writing and unwavering commitment to the issues. For the record, Illinois provides access but mothers can redact. However, it is my understanding that redaction has been very rare since that law went into effect about 4 1/2 years ago. just another sign that it's all hocum to begin with. How did Illinois notify the parents? How does any state with redaction notify beyond a newspaper classified ad or link on a government website? We are such a mobile society that it has to be difficult to notify those who’ve moved out of state. Muggery Pope, I don't know how Illinois notified parents. All I know is when Missouri's adoptee access law was passed, this mother was never notified. It's funny, part of the delay of 18 months was said to be so parents, mothers specifically, could be notified and yet, not a word and so few news stories on it that if I had not been looking/hoping for the law's passage, I never would have known. Strange isn't it? I was sooooooo disappointed. I couldn't wait to hear how they were going to word the information to mothers. Now, apparently, some adoptees (who knows how many) have yet to get their original birth certificate though they applied in January. Vital records had 18 months from the time the Governor signed the bill into law until the effective date to get their ducks in row. Not long after the effective date they were saying it may take up to 6 (more) weeks to process. Now, according to a news story from May 11, 2018, there are some adoptees who are still waiting for their OBC with various and changing reasons as to why they do not yet have it. Oh goody, more "fun" with OBC's. Did they lose the keys to the multiple doors that lead down the rabbit hole/s to the vault/s. Or, maybe it's more along the lines of, "oh, what a tangled web we weave...". Kind of hard to get through sticky, nasty messes of tangled web. I had a friend who was told her baby was stillborn and she distinctly heard a baby cry. I can't help but wonder how many of those situations occurred. Where the mother was told the baby died, only the baby didn't die. Or, the mother was told of only one child when there were twins, etc. . Too many tangled webs. The only way to effectively notify all parents is to do bits on the national news on television and radio. If adding these redaction and veto provisions to these OBC access bills is --really and truly-- about protecting parents(specifically mothers) so-called privacy, then they would find a way to do nationwide coverage. Wouldn't they? How about 'public service announcements'? That way EVERYBODY (adoptees, adoptive parents, and parents) gets notified of the change in the law no matter where in the country they live. Then one can either apply for their OBC, or hide in the closet, get their knickers in a knot, or CELEBRATE liberty and justice, or none of the above. According to their individual preferences of course. In New Jersey the Catholic Church would send out a press alert to reach mothers -in-hiding, and there were news stories about the time frame in which people had to redact their names. By the time that period closed, 550 women did veto the release of their names, a larger percentage (just under two) than in earlier states that have unsealed birth records, where it is far below one percent. I don't know if NJ had a preference that stated: I do not wish to be contacted, which is a way for the individual to get an unredacted OBC but know that their mother wishes no contact. Sad for both of them. Yes, and what about the women who were told their children died at birth but that is a lie? Those children may not have birth certificates that are accurate. Or they might.